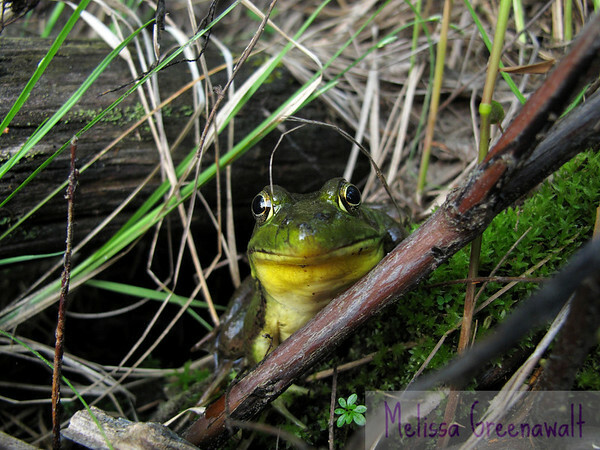 Who knew that frogs, up close, actually have Mona Lisa smiles?? "Kermit Theee Frog" appeared to be unfazed by my presence. I tried reassuring the frog that I meant it no harm, and, if it stayed for just a bit, I'd not even try to pick it up and say hi. I was able to shoot this and a few other photos from about six inches away from the frog. In thanks for its cooperation, I was true to my word. No frog slime on these hands.